For most of their lives, the greatest challenge facing a dancer is to make a personal impression on a role created by somebody else. Anyone can learn the steps-many artists learn them as students-but it takes skill, experience, and an independent imagination to stamp yourself on a role that renowned interpreters have already performed many times. However, dancers often say that their fondest dream is to create something new. In that precious situation, their individual nature and talent feeds the eventual result, directly shaping the roles that all their successors must realize later. The Royal Ballet‘s closing programme this season at the Royal Opera House featured both opportunities side by side. 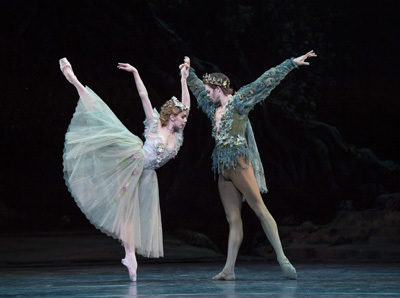 Making her debut in Ashton’s fantasy The Dream, Natalia Osipova endowed Titania with an imperious temperament and innate seductiveness, a striking contrast to the charming delicacy and teasing sensuality of the role’s creator, Antoinette Sibley. Newly arrived in the company, Matthew Golding made a good stab at the fleet classical precision of Oberon, created 50 years ago by Anthony Dowell, but never found the character’s essential combination of magic and authority. Alistair Marriott’s new work, Connectome, supposedly explores the connections in the brain and in our personal encounters. Drawing a spiritual quality from Arvo Pärt’s serene music, a woman and six men suggest sorrow and mourning, supporting one another physically and emotionally with gentle assurance. But Es Devlin’s striking set and Luke Halls’ intriguing video projections overshadowed them at every moment, and the loosely elegiac movement barely sustained the performers’ dedicated effort. I saw the second cast which, in its careful interpretation of the pallid material, must have closely resembled the first. Seizing the privilege of creating the ballet but given so little to express, could Miss Osipova and six other men have produced a noticeably different effect on opening night? Somehow I doubt it. 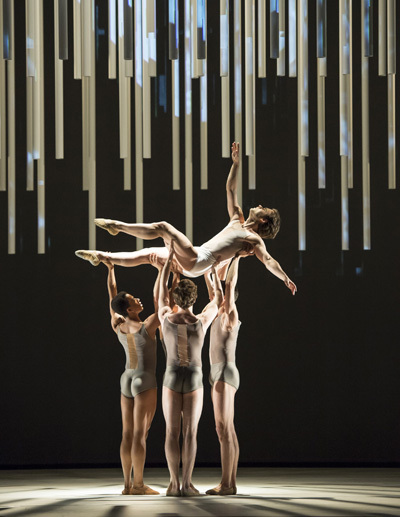 This programme continues at the Royal Opera House through 13 June.